Abdeldjalil holds a Diploma in Engineering and a Masters in Coastal management, which he acquired after defending his research project entitled “Assessment of the coastal vulnerability of the future marine protected area of the national park of Taza, Jijel”. 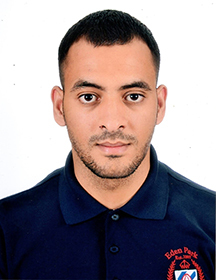 Abdeldjalil is currently enrolled in LMD PhD in coastal natural resources valorization and management at the University of Abdelhamid Ibn Badis of Mostaganem Algeria. His thesis, titled “Dunes of the Algerian coasts between coastal development and environmental protection”, is concerned with the issue of integrated management of coastal areas through the mobilization of various approaches. Abdeldjalil’s research focuses on vulnerability in a broad sense: natural, social and economic.